I'm watching someone walk no faster than 2 mph on a treadmill right now. 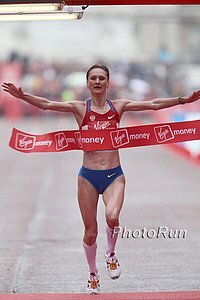 *Great: London Marathon Confirms That Liliya Shobukhova Will Have To Pay Back The Prize Money And Appearance Fees From London 2010 And 2011 She was first in 2010 and second in 2011. Canadian James Nielsen Breaks Beer Mile WR With 4:57.1 Becoming The First To Break The 5-Minute Barrier (includes video) Nielsen is a two-time DIII 5K champ. The previous record was 5:09.0 by Jim Finlayson. World 5,000 Silver Medalist Mercy Cherono Anchors Kenyan 4 X 1,500 Team To World Record At Kenyan World Relay Trials The team won in 17:05.72. Also in action was Asbel Kiprop, who won the 1,500 in 3:36.1 over Silas Kiplagat (3:36.4). Eunice Sum won the 800 in 2:03.2, beating 2007 World champion Janeth Jepkosgei (2:03.9). *Capital FM Recap With Full Selected Team Roster Hellen Obiri was left off the 4 x 1,500 team despite being Kenya’s top miler this year. Since She’s Kenya’s #1 Woman, Hellen Obiri Likely Will Be Forgiven For Skipping Kenya’s World Relay Trials To Wwin $25,000 At Drake Another person skipping the Trials is Bethwell Birgen, who is injured. 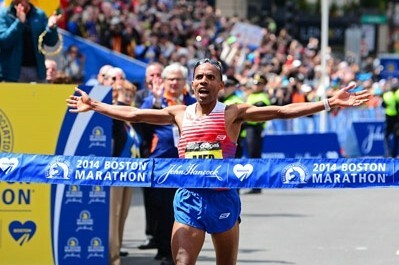 Good Read: Toni Reavis Runs Into Last Boston Survivor To Leave Hospital, John Odom, And Realizes We Live In A Small, Small World His wife went to high school with Ryan Hall‘s father and his daughter went to college with Meb. The Science Of Sport Takes A Look Back At The Spring Marathon Season We always like what these guys write. 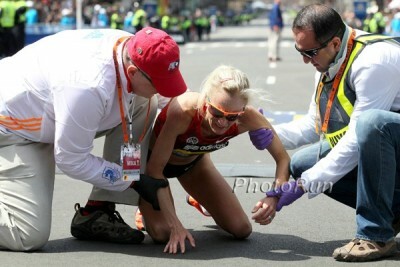 Joan Benoit Samuelson Won 55-59 Division In Boston (2:52:10) Her son (2:50:01) and daughter (3:15:49) also ran. Meet The HS Principal In Kenya Who Raises Money To Pay The School Fees Of The Best Athletes To Keep Them In School Among those he’s helped – Edward Cheserek. Olympic LJ Silver Medalist Godfrey Mokoena Talks About Why He’s Returning To His First Love – The Triple Jump Mokoena was a former world junior champ in the triple but gave it up due to an injury in 2007. Greg Rutherford Smashes British Long Jump Record With 8.51m, Proving Olympic Gold Was No Fluke Many discounted Rutherford after his gold, including, Nike, which ditched him. *Video – the meet was in front of a handful of spectators. 5 Hours Of Track TV Coverage Saturday At Penn And Drake Relays On NBC Sports Drake is on from 7:30-11:0 pm ET on Fri. Watch USA vs. The World at the Penn Relays at 12:30pm ET on Sat. and then the Drake Relays from 3-5pm ET. Penn Relays US DMR has Leo Manzano, Brandon Johnson, David Torrence and Manteo Mitchell while AJ Wilson is on the SMR. May 4: Two-Time World Champ Abel Kirui Will Race Berlin 25K Against Paris Marathon Champ Peter Some And Afirca 10K Champ Kenneth Kipkemboi Kirui is happy with his comeback from the injury that kept him out of Moscow 2013 and talks about his racing plans for the summer and fall. May 11: Moses Mosop Faces Deep Field With Eight Sub-2:08 Men At Prague Marathon The field includes CR holder Eliud Kiptanui (2:05:39) and defending champ Nicholas Kipkemboi. The women are led by 2011 NYC Marathon champ Firehiwot Dado (2:23:15) and Flomena Chepchirchir (2:23:00). Warren Weir, Justin Gatlin, Walter Dix And Nesta Carter Highlight Deep 100 Field For Next Saturday’s Jamaica International Invitational Other top sprinters competing at the meet include Shelly-Ann Fraser-Pryce, Allyson Felix, Brianna Rollins and LaShawn Merritt. IAAF Preview Of Austria Combined Events Challenge On May 31st: Ukraine’s World Champion Hanna Melnychenko Faces Brianne Theisen-Eaton World silver medalist Germany’s Michael Scrader leads men’s decathlon. David Rudisha’s Younger Brother Dreams About Following In His Footsteps And Breaking The 800 WR Francis Leparon Rudisha is in high school and has a 400 PR of 49.38. 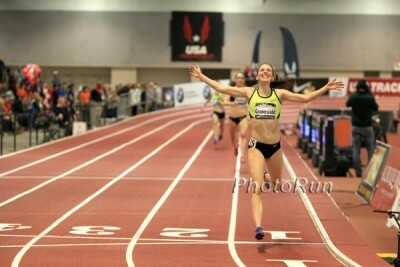 USATF put up some never publicly seen footage before of the Gabriele Grunewald reversed DQ on its Vimeo page. Once people became aware of this, USATF took it down. Fortunately, LetsRun.com downloaded the video and has it for you in the name of transparency. Is this the “new conclusive evidence” used to DQ Grunewald in the first place? Plus, a non-update update on the Andrew Bumbalough DQ. Update from USATF: Report on 3k DQs Coming in June It doesn’t take 4 months to acknowledge Andrew Bumbalough was DQd improperly. The NBA has already acknowledged it blew 2 calls in the playoffs last week. Sunday: Loaded Field For Payton Jordan 5,000: Andrew, Bumbalough, Chris Derrick, Ryan Hill, Evan Jager, Lopez Lomog, Matt Centrowitz, Ben True, Garrett Heath And Diego Estrada As always, there are great fields in all the events. Full Entries here. May 8: Deep Fields Set For Medtronic TC 1 Mile: Nick Willis, Nate Brannen, Will Leer In Men’s Race Women’s race has Heather Kampf, Nicole Sifuentes, Gabriele Grunewald and Sara Hall. May 18: Tirunesh Dibaba Will Defend Her Great Manchester Run 10K Title Dibaba will face Italy’s World marathon silver medalist Valeria Straneo, France’s Sophie Duarte and GB’s Gemma Steel. Priscah Jeptoo has pulled out with a stress fracture. Wilson Kipsang and Kenenisa Bekele will go head-to-head in the men’s race. Duesseldorf a first step on the road to Rio for Annie Bersagel? Bersagel set almost a 2-minute PR to get an upset victory at the Duesseldorf Marathon. After Running 2:18:57 In Boston Rita Jeptoo Has Her Eyes On Paula Radcliffe’s WR Jeptoo: “I will let you know when I am ready for it … However, one thing is for sure, that day will come to pass one day if not soon.” She still has a long way to go until 2:15:25, but she’s not that far away from Radcliffe’s 2:17:42 “all-women” record. Edward Cheserek And Emily Lipari Are DI Athletes Of The Week After Their “Relay Heroics” At Penn Relays Lipari had an amazing three days as she anchored Villanova to victory in the DMR, 4×1500 and 4×800 while Cheserek ran impressive splits on the DMR and 4xMile to help Oregon get two wins. Kenyan Sprinters Feel Neglected By Athletics Kenya They were upset that Kenya won’t be sending any sprint relay teams to the World Relay Championships, but AK has responded saying they don’t have a choice since none of them hit the qualifying standard. Justin Gatlin Looking Forward To Running In His First Open 100 Of The Season At Jamaica Inivtational Saturday He’ll be up against Nesta Carter, Warren Weir and Walter Dix. Carl Lewis to be guest of honour at Oslo DL Meet on June 11th The Oslo 100m will feature Christophe Lemaitre, Adam Gemili, Kim Collins and World Indoor 60m champ Richard Kilty. *DyeStat High School Drake Relays Highlights Stephanie Jenks ran a US#1 4:28.72 for 1,500 and a US#1 3K of 9:26.87, which broke Katie Flood‘s MR.
LRC Hellen Obiri Crushes Americans In 1,500 For $25,000, LaShawn Merritt Over Kirani James In Round 1, Derek Drouin 2.40! Canadian Record The women’s 1,500m was no contest as Hellen Obiri got the best of Brenda Martinezand the Americans over the final 300m. LaShawn Merritt won the anticipated showdown with Kirani James, and Derek Drouin jumped really, really high. Lolo Jones Not Thrilled With Her Own Race Which Included Stutter Stepping The First Hurdle, But Happy Her Team Got The Win The team ran the second fastest time all-time. *MB: 2014 Penn Relays men’s DMR? Penn State, Stanford, Nova or Oregon? LRC Déjà Vu: Villanova And Emily Lipari Kick Past Cuffe And Stanford For 4 X 1,500 Crown – Abbey D 4:08 Split! If you read yesterday’s recap, you know exactly what happened today. MB: Stanford Bound Olivia Baker’s runs 2:02.55 anchor leg – fastest in Penn HS history She gave her HS team Columbia it’s second straight COA win. More/Full coverage in our Penn Special Section, Drake Special Section. NY Times: A look at the nature of the NYAC’s proud sponsorship of Meb Keflezighi Meb can thank former Columbia star Caroline Bierbaum LeFrak. Shalane Flanagan’s Hometown Friends Talk About Her High School Days And Getting Together Each Year To Watch Boston One high school friend revealed that her unofficial slogan is “F.S.U.” which originated at their 10-year reunion when she shouted, “I’m running the 2013 Boston Marathon and I’m going to f— s— up!” *MB: Shalane says the entire F.S.U. stuff is simply made up and not true. Interesting NY Times Article: What Good Marathons And Bad Investments Have In Common Researchers say the same motivation that gets you to push yourself under 3 hours can make you hang on to a bad investment too long. Leo Manzano, Heather Kampf Win Close Races At The USA 1 Mile Road Championships Manzano just edged Pat Casey, winning in 4:05.71 to Casey’s 4:05.81. The women’s race was also close as Kampf ran 4:34.62 to beat Katie Mackey (4:35.30) and Sara Hall (4:35.81). Laura Roesler And Dentarius Locke Are NCAA DI Athletes Of The Week Roesler moved to #8 on the all-time NCAA list with 2:00.54. Locke helped FSU with the ACC Championships by winning the 100, 4 x 100 and 3rd place in the 200 and 4 x 400. Laura Roesler Wins 800 In 2:00.54, Beating Geena Lara (Gall) And Maggie Vessey Oregon’s Phyllis Francis won the 400 in 51.57, beating pros DeeDee Trotter and Lashinda Demus. Ashton Eaton Finishes 4th In His 400 Hurdles Debut With 50.01 Natasha Hastings won the 200 in 22.71, beating out Bianca Knight and Blessing Okagbare. Princeton: He’s back!!?? Robby Andrews over Donn Cabral 3:42 baby!!! ACC Champs: Friday Recap: Florida State Men And Women Lead The Team Scores FSU’s Colleen Quigley (10:09) and Virginia’s Kyle King win steeples. Duke’s Juliet Bottorff (32:53) and Syracuse’s Martin Hehir (29:10) win 10Ks. Henry Chirchir Wins Hannover Marathon In Sprint Finish, Souad Ait Salem Takes Women’s Race Chirchir won in 2:11:30 over 40-year-old Francis Bowen as Evans Rutto was 3rd (2:11:34). Salem won the women’s race in 2:33:09. Yuki Kawauchi Looking To Tie Japanese Record For Most Sub-2:20 Marathons At The May 4th Hamburg Marathon Currently Kawauchi has run sub-2:20 33 times and the Japanese record is 34. Kawauchi also joked about getting smoked by a bunch of collegians in a 1,500 where he finished 12th in 3:54. Kenya’s Ezekiel Kiptoo Chebii Wins Rock ‘N’ Roll Madrid Marathon In His Debut With 2:09:15 Ethiopia’s Alem Frike won the women’s race in 2:32:11. Kenya’s Bernard Kipkorir Talam Wins Belgrade Marathon In 2:14:35 Kenya’s Valary Jemeli Aiyabei won the women’s race in 2:37:08. Second Member Of Jamaican Diciplinary Panel That Banned Asafa Powell Faces Criminal Charges Jephthah Ford is accused of trying to bribe a policeman with $546,000 to drop the charges against two Surinamese nationals. *RR: Play-By-Play Photo Essay Of US Handoff Fiasco From Penn 4 X 400 The US gave the Bahamas the win when the anchor leg Manteo Mitchel accidentally grabbed the Bahamas’ baton instead of his own. *MB: When will they go for mythical sub 16? LRC Villanova Women Complete The Sweep – Win 4 X 800 At Penn Relays Emily Lipari had Laura Roesler sitting on her at the end of this one, but Roesler had come from too far back to have anything left. LSU’s Rodney Brown And Jasmin Stowers Make History With Wins At Penn Relays Brown broke the meet discus record with 210 feet, 9 inches. Stowers became the first person in meet history to win the 100H 3 times. The LSU men’s 4 x 100 came in second as Jamaica’s UTech won in 38.71. Aggies Get 3 Wins And A School Record On Final Day Of Penn Relays They got a Championship of America win in the women’s 4 x 200 with 1:30.21. The Aggie women’s 4 x 100 also won on Friday in 43.11. DyeStat High School Penn Relays Highlights Chaminade HS got a US#1 in the boys 4 x 800, running 7:39.44, but lost to Jamaica’s Calabar, which ran 7:37.36 for the win. Glen Mills (Usain Bolt’s Coach) Not Planning Retirement Yet But Preparing His Assistant Coaches To Continue Racers TC Program When He’s Gone He says for example, with star HS sprinter Zharnel Hughes, he’s done very little and credits his success to his assistant coach, Patrick Dawson. USOC Will Narrow Down Cities For 2024 Olympic Bid To 2 Or 3 In June Currently Los Angeles, Boston, Dallas, Philadelphia, San Diego, San Francisco and Washington DC want to put forward bids to host. The final decision on one bid city will be made at the end of the year. Glasgow Commonwealth Games Organizers Unsympathetic To Criticisims By Journalists About Huge Fees To Use Internet And Don’t Plan To Change It will cost $158 for general wi-fi, while photographers will have to pay up to $440. US Mid-D News: Spikes Mag:A Day In The Life Of Nick Symmonds Symmonds, like LetsRun.com’s JK, loves Dr. Pepper, eats 4-5,000 calories a day (but barely touches breakfast). In the afternoons, he often tries to learn Spanish. Video: Julia Bleasdale’s South African Training Diary It must have worked, as she recently won Carlsbad in 15:06. Graeme Fell, Marcel Jobin, Lynn Kanuka (Williams), Bruce Kidd, Jason Tunks Headline Athletics Canada Hall Of Fame Class of 2014 Fell had the steeple record (8:12.58) for 28 years, Kanuka won bronze at the 1984 Olympic Games in the 3,000, Kidd still holds Canada’s junior 5,000 record from 1962 – 52 years after the fact. T-Minus 1 Month: IAAF World Relays – Less Than One Month To Go! Johnny Gray Is Confident That Duane Solomon Will Break His 1:42.60 800 American Record This Year Solomon started out his season great running 1:43.88 at Mt. SAC. UK’s 20-Year-Old Sprinter Delano Williams Says He’s Learning A Lot From Training In The The Racers Track Club With Usain Bolt And Yohan Blake Williams is from Turks and Caicos, but since they don’t have their own Olympic committee, he competes for the UK. Last year he ran 10.28 and 20.27. IAAF Profile On French Junior Hurdler Wilhem Belocian, Who Ran The World Junior 60H Record During The Indoor Season Belocian has his eyes set on more junior records outdoors as well as the World Junior title he’ll chase in Eugene this July. Soon will more than 200,000 have read this? 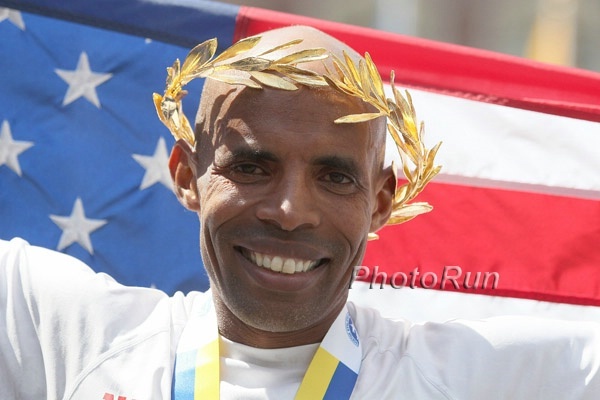 LRC The American Drought Is Over: Meb Keflezighi Wins The 2014 Boston Marathon The American drought is over. 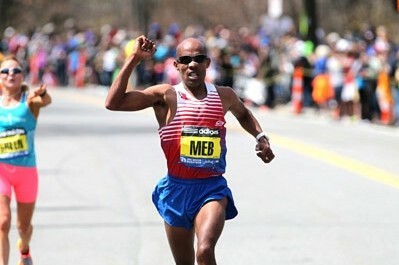 American Meb Keflezighi ran an extremely gutsy race to hold off Wilson Chebet and win the 2014 Boston Marathon. Nick Arciniaga and Jeff Eggleston were in the top 10 as Ryan Hall was 20th in finishing his first marathon in three years. 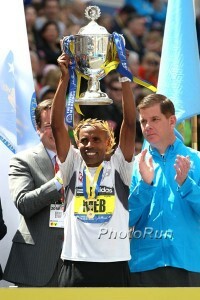 Did any of you cry watching Meb win? 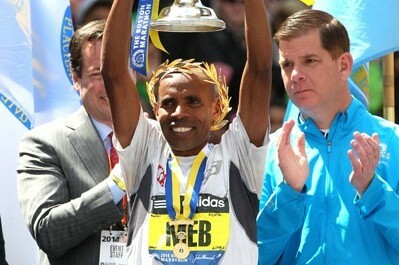 Interview With Meb: “I wanted to do it for the runners.” Plus he admits he was wondering if he went to soon. LRC Four Thoughts On The Women’s Race: Shalane’s Bid For Glory, Jeptoo’s Incredible Final 3 Miles, The 2:18 And 2:19 Clubs, And Desi Linden We break down the women’s race: Flanagan’s move bold or foolish?, Rita Jeptoo crushed the final 3.2 miles, the 2:18 and 2:19 clubs have 2 more members, and Desi Linden. 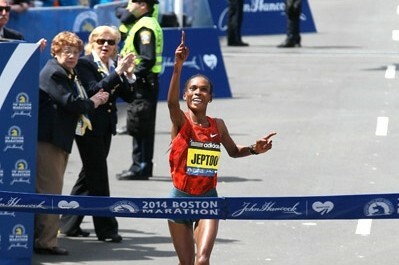 Rita Jeptoo Crushes It The Final 10k To Win Boston Marathon In 2:18:57 Rita Jeptoo took care of business. American Shalane Flanagan set a blistering early pace and then Rita Jeptoo brought it home in convincing fashion to smash the Boston course record. Flanagan held on for the fastest time by an American in Boston. 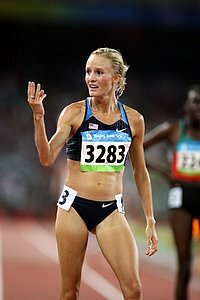 Discuss: Where did Shalane go for those 92 seconds behind the crowds? Shalane – Hold your head up high! You did great girl. You go girl!